MHE-Demag supplies a wide range of safe working load (SWL) raning from 1.6t to 100t and duty ratings from M3 to M8. The robust and technological advanced DM series offer reliable, efficient explosion-proof hoist and safe operations in hazardous environments of gas and dust. Its modular design provides a wide variety of configuration which can be tailored to meet end-users’ operational needs. Every explosion-proof hoist produced by MHE-Demag is designed and built according to ATEX or IECExstandards. Each component is thoroughly tested and accompanied by a type certificate. Because the end-users are provided with type certificates for every component, they can be assured that the components can operate safely in the pre-defined hazardous. 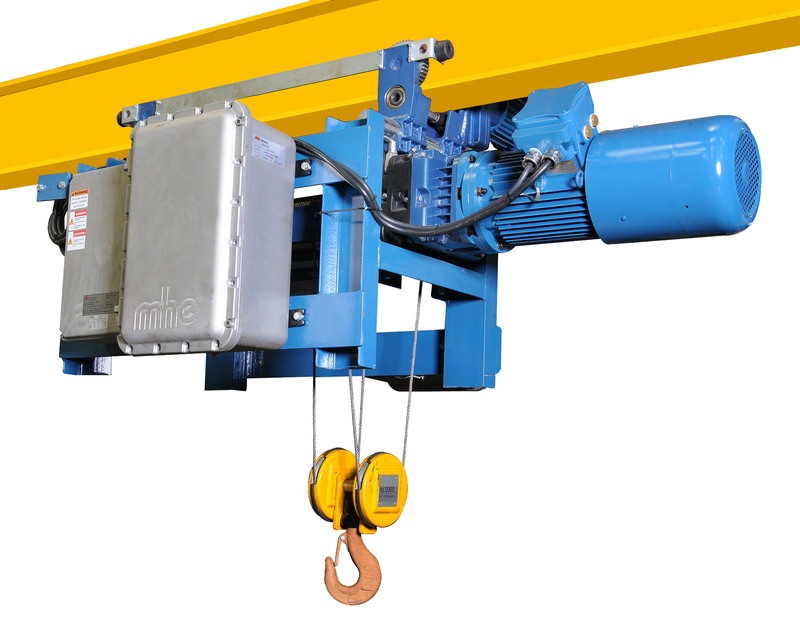 For users who prefer cost-effective lifting solutions, MHE-Demag’s CH series of chain hoists offer SWL from 0.5t to 4t. 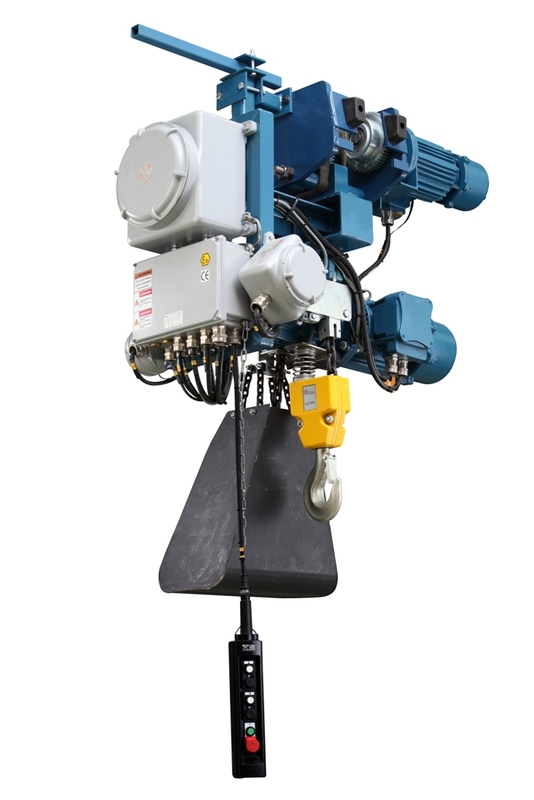 Like its counterpart the DM wire rope hoists, the modular design of the explosion-proof chain hoist provides a wide variety of configuration which can be tailored to end-users’ operational needs. It can be designed as a stationary hoist, or with an electric, hand chain or push trolley. The galvanized chain has a safety factory of five as standard, with stainless steel options for special applications.